The granite design for the luxurious kitchen! 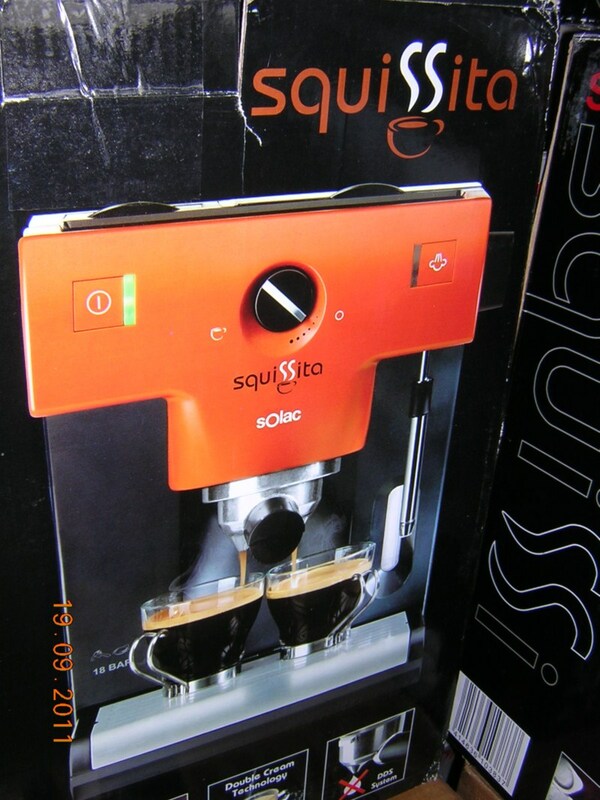 Cook and impress your guests at the same time! The “BRATmaxx” ceramic pans with their elegant soft-touch handles in elegant wood look are the luxurious accessory for your kitchen! The granite design inside and out makes the pans a real eye-catcher. Thanks to their unique structure, the “BRATmaxx” ceramic pans look like they are carved out of a stone. As in the wild, sometimes even artistic nature, each pattern is unique and each pan becomes unique! 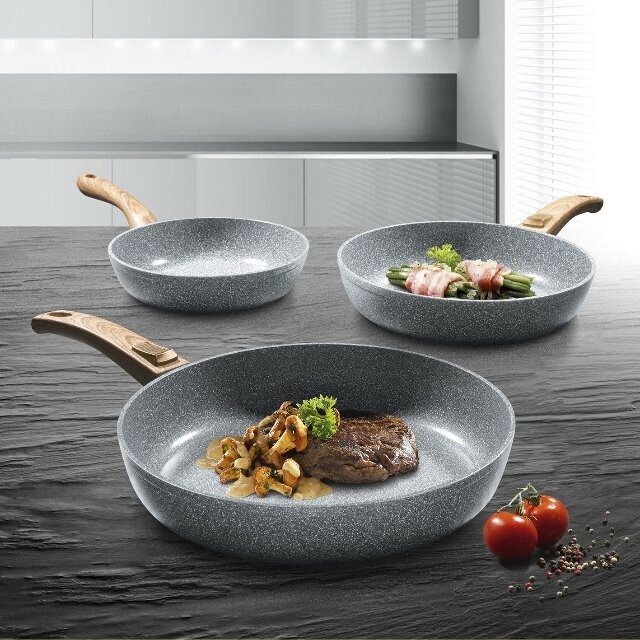 However, the “BRATmaxx” ceramic pans not only convince with their exquisite optics: roast your food now like on a hot stone! The ceramic coating with a pearling effect makes oil almost unnecessary during preparation. Fat and Bratrückstände emanate from it – here burns so fast to nothing. 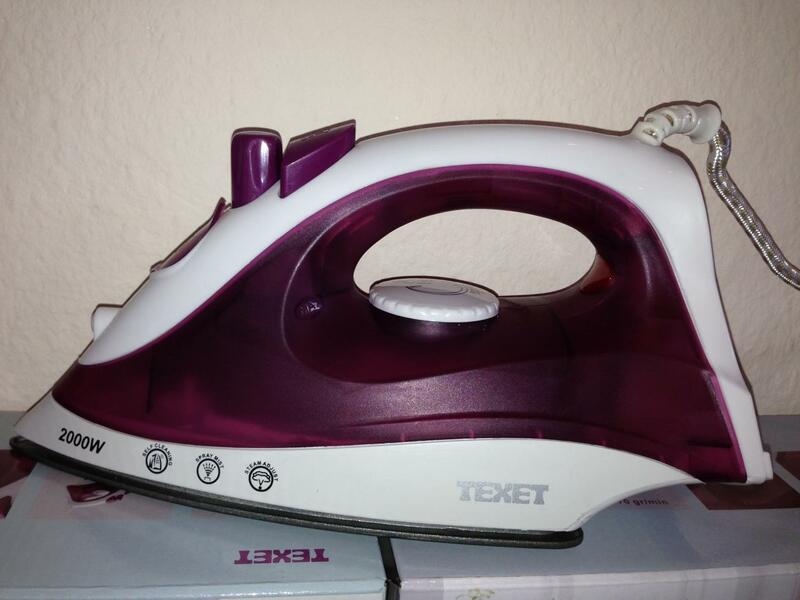 The soft-touch handles combine ergonomic ease of use with a pleasant feel. The stainless steel induction base ensures a uniform and energy-saving heat distribution with long heat storage – for best frying results and maximum energy efficiency. – Notes: The pans are intended for preparing food on all common stove types (gas, electric and induction cooker). Oven suitability: pan with handle up to max. 150 ° C, pan without handle up to max. 240 ° C. The pans are not microwaveable. 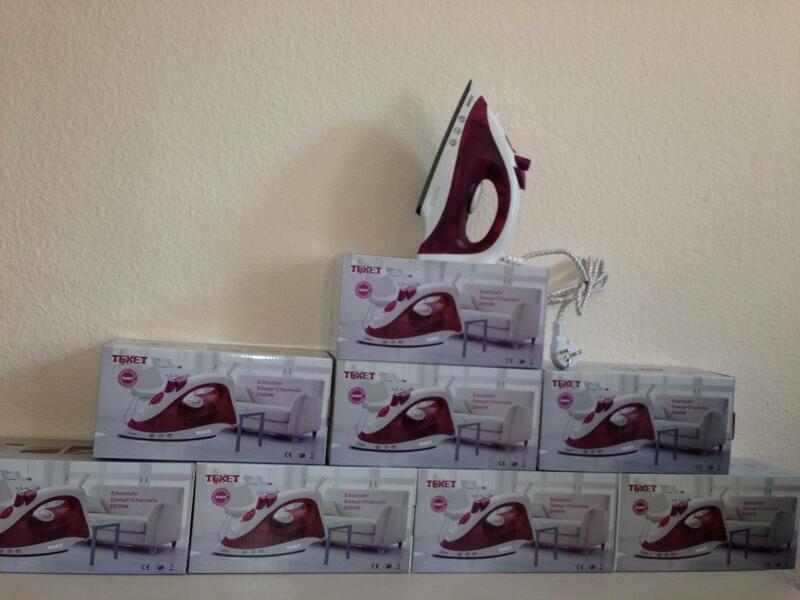 Suited for all kinds of stoves, even induction ones. 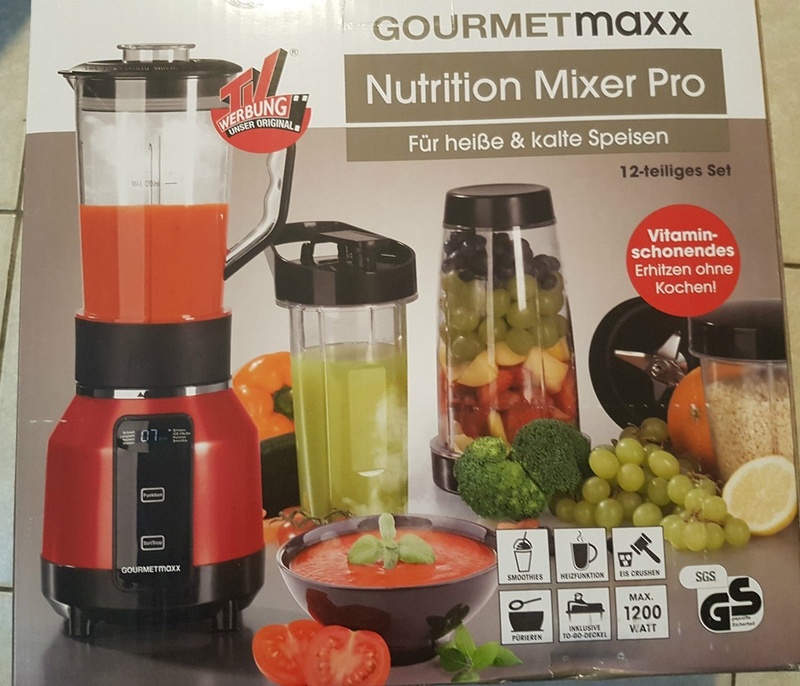 Smoothies and soups from fresh fruits and vegetables are all the rage – and are prepared in the “GOURMETmaxx” Nutrition Mixer Pro just as fast as cocktails, milkshakes, desserts, sauces, dips or purees. With its 1200 watt engine, he chops, crushes, blends, grinds, mixes and mixes almost everything that comes to the super-sharp cross blades. The clever heating function also enables the gentle heating of vegetables without cooking – ideal for delicious vegetable soups. 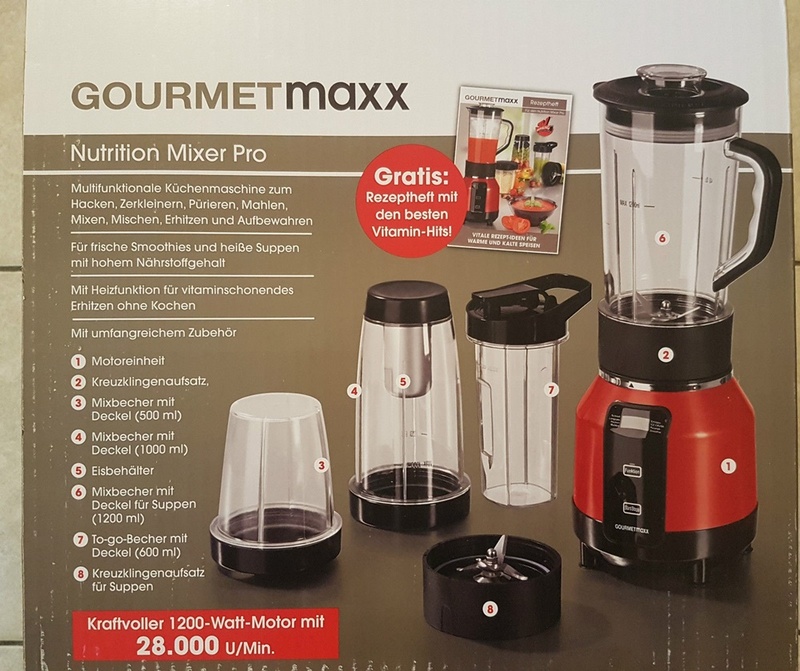 The use of the “GOURMETmaxx” Nutrition Mixer Pro is extremely comfortable thanks to the digital control panel with 2 speed levels (fast and slow) and 6 preset programs for chopping, grinding, heating, ice-brewing, pureeing and smoothies. The cleaning is also a snap: almost all accessories of the 12-piece set are dishwasher-safe (except blades, ice container and engine unit). Fast, practical & versatile – for delicious enjoyment! – 2 in 1: space-saving fryer, also suitable for fondue! Fruity enjoyment, fast even mixed! – Your delicious Vitamin Kick – yourself pressed! Enjoy the full flavor of fresh fruit! 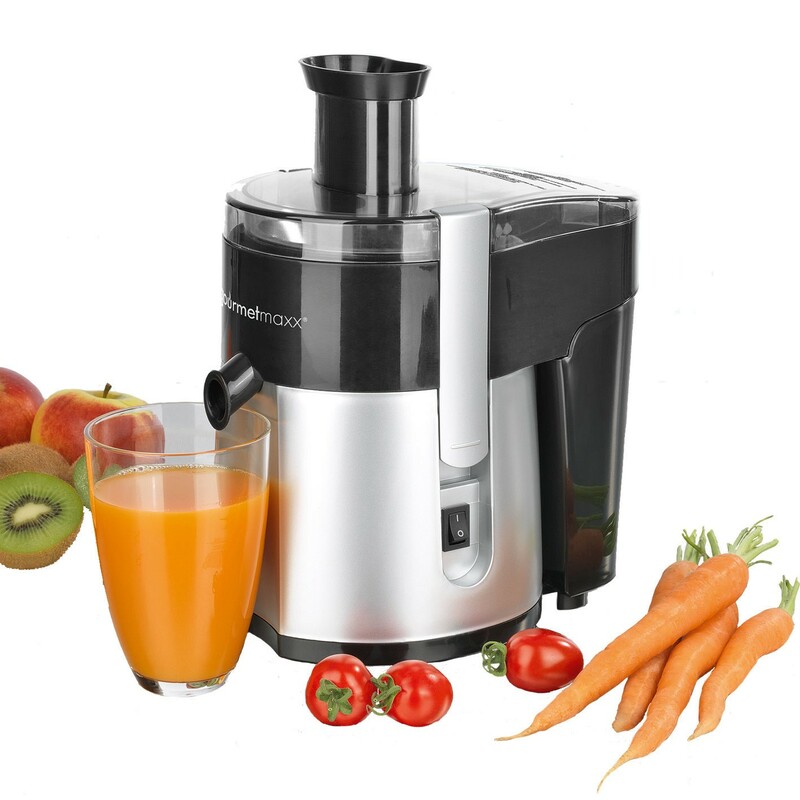 With this practical and versatile juicer you conjure from oranges, apples, mangoes and other fruits and even vegetables the ultimate freshness and vitamin kick. Just add fruit, close lid, turn and everything is fresh and delicious juiced in Nu. 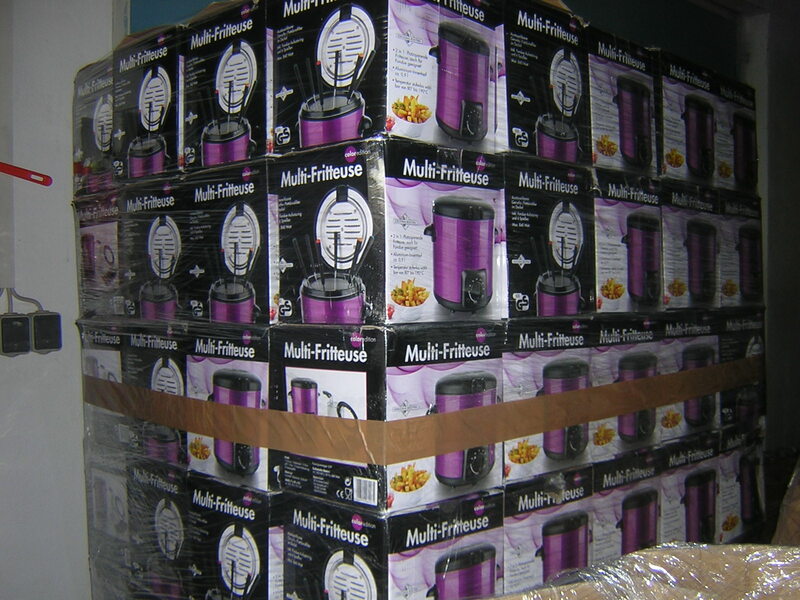 Thanks to its compact dimensions, the juicer is also ideal for smaller kitchens and can be stowed away. 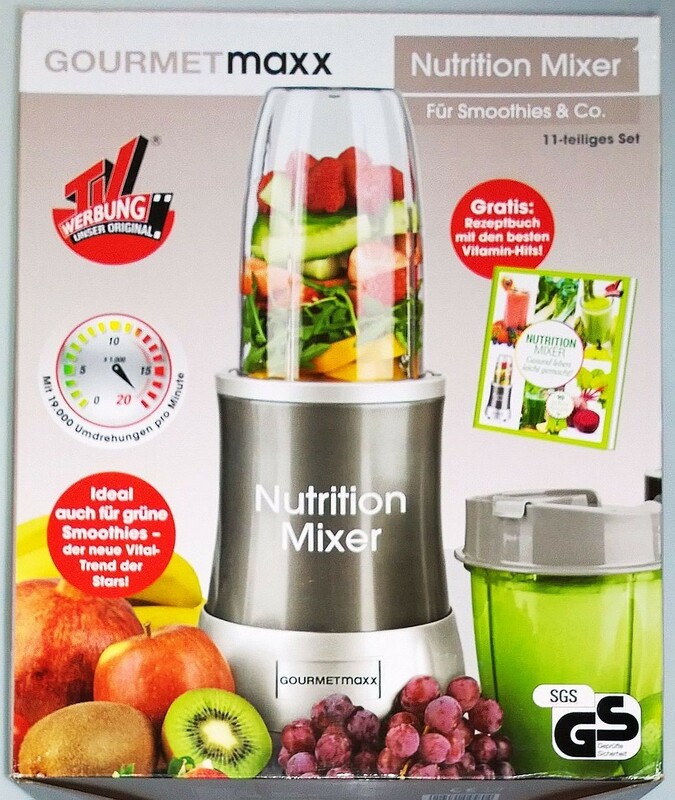 After use, the “GOURMETmaxx” Juicer Vitamin Star quickly and easily be cleaned, because all the removable parts are dishwasher safe. Treat yourself every day to fresh fruity juice enjoyment! 3. Herrlich enjoy fresh juice! 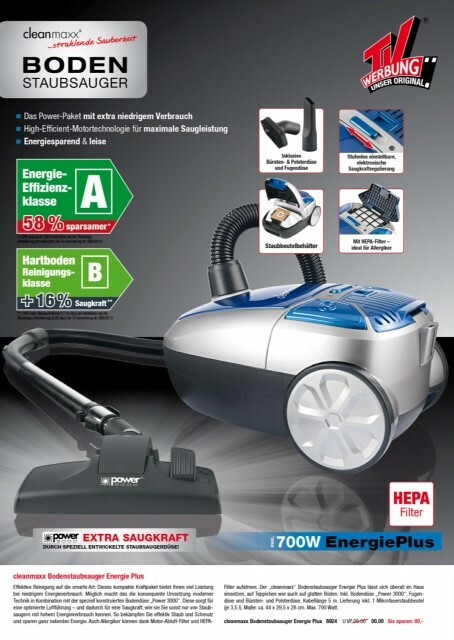 – The power package with extra low consumption! 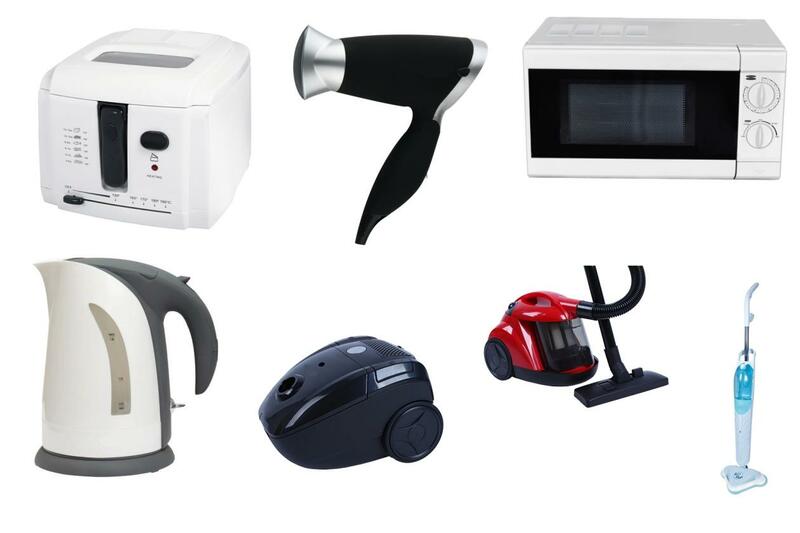 New item cheap household appliances microwave, vacuum cleaner, etc. Minimum Quantity per item: 100 pieces. 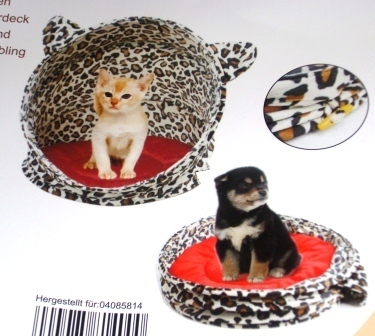 Pet basket with hood made of polyester. 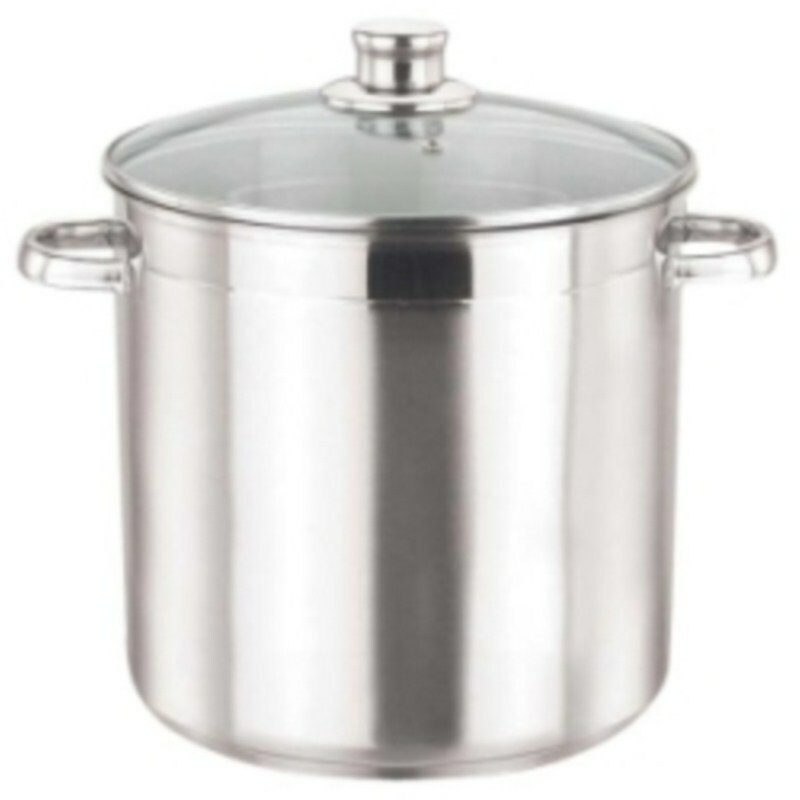 Cooking pot made of stainless steel with 10 liters with glass lid. The stainless steel cooking pot has a diameter of 24 cm and is equipped with an energy-saving 3.5 mm aluminum sandwich base.